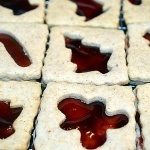 Two flavorful pecan cookies sandwich a reduced raspberry jam. 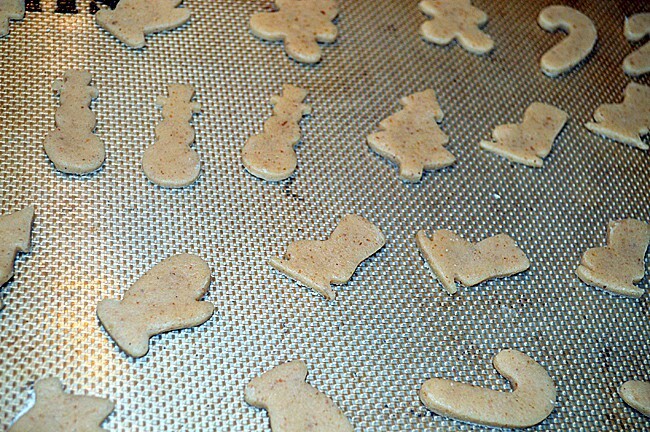 Dust the tops with powdered sugar before attaching if you'd like. 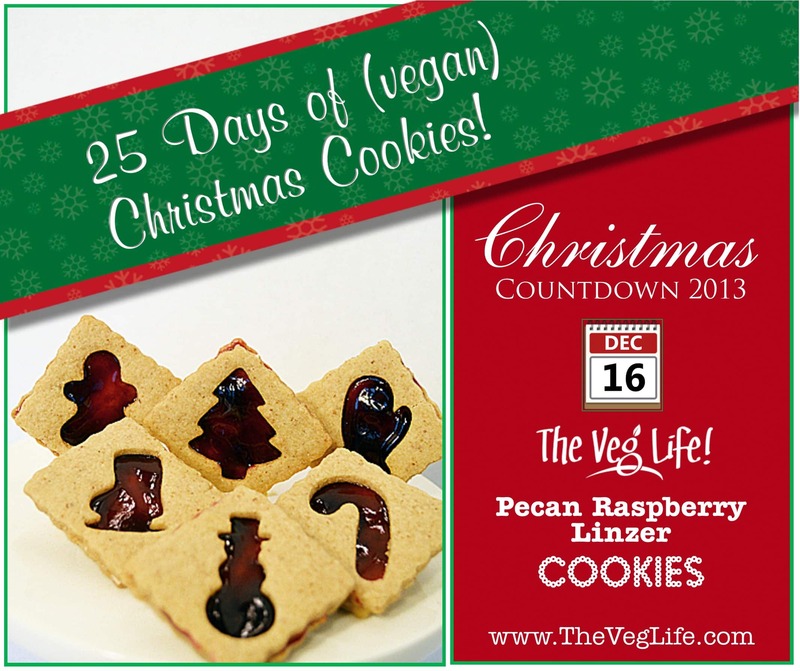 Sift together flour and baking powder into a bowl and set aside. In a food processor, pulse pecans, confectioners sugar, salt and cinnamon until finely ground. In the bowl of an electric mixer, add the pecan mixture along with butter and granulated sugar. Beat on medium speed until light and fluffy. Add vanilla and tofu. Reduce speed to low and gradually add the flour mixture until combined. Wrap the dough in plastic wrap and chill until firm, about 2 hours. 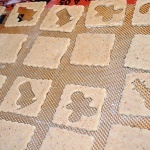 On a lightly floured surface, roll dough to 1/8" thick and cut out squares. 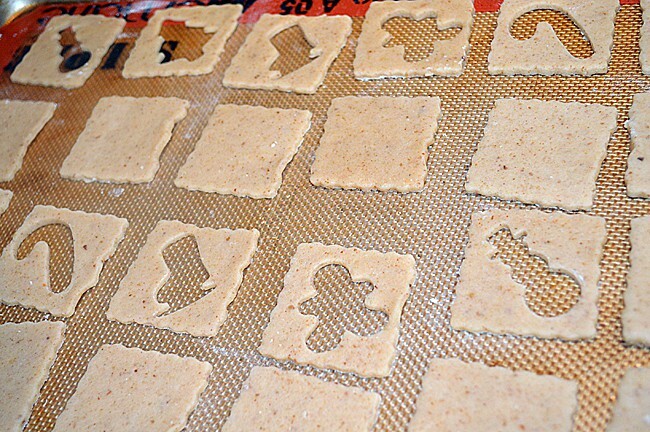 For half of those squares, using a smaller cutter, cut out shapes. 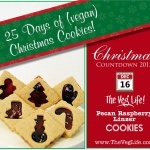 Using a spatula, transfer to a silpat or parchment lined cookie sheet about 2" apart. 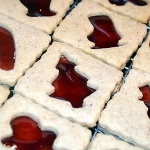 Save the cutouts and bake them too! Bake until pale golden, about 8-10 minutes. Transfer to racks to cool. Meanwhile, heat jam in a saucepan over medium heat until reduced and thickened. Let cool slightly. 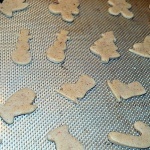 Sprinkle the cutout tops of cookies with confectioners sugar, if desired. 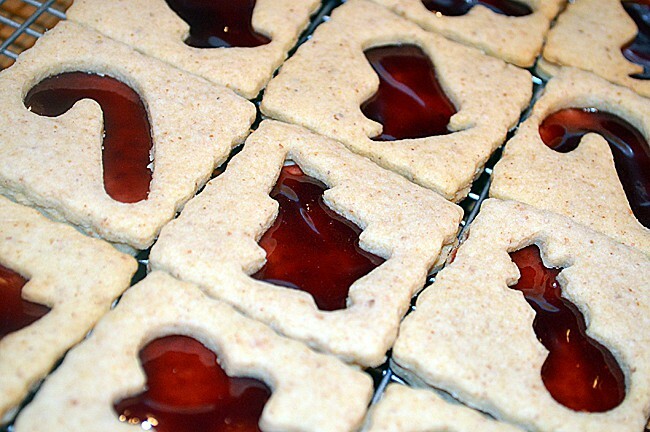 Using an small spatula, spread a thin layer of jam over the cookie without the cutouts. 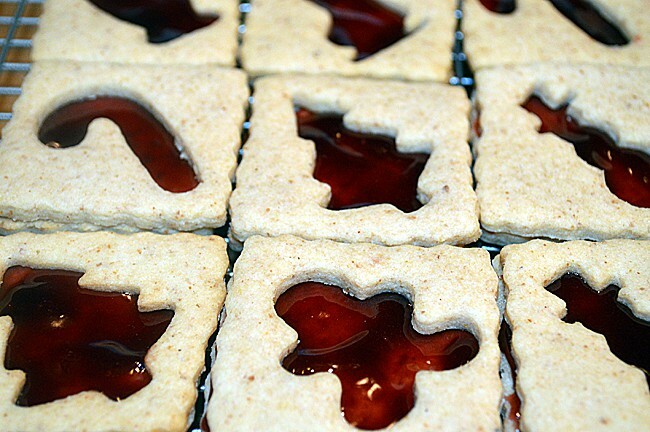 Place the sugared, cutout tops on them. Let cool and set.